The assembly of different elements, all made from clay, into a sculptural vessel is the initial inspiration this term. 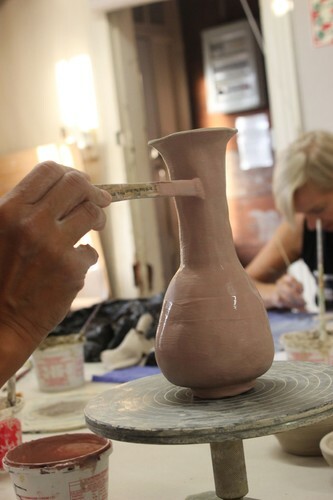 Each pottery technique supports a certain form or shape. This will lead to a treasure trove of components which then can be used to build unique vessels. The class offers the opportunity to experiment with a variety of modelling techniques under the guidance of an experienced tutor. You will discover their individual way of handling clay, as well as enjoy sharing time to be creative with fellow students. Surface decorations with slips and glazes are part of the teaching as well as learning to stack a kiln. Class 9 max. Includes up to 10kg clay, glazes and firings for this amount of clay.